The hospital provides specialist care for newborn babies to children up to the age of around 13. Glasgow's children's hospital is celebrating 100 years of caring for young people across Scotland. 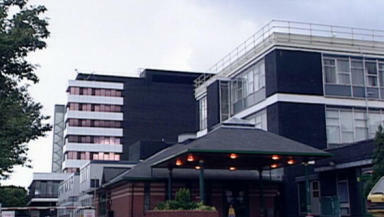 The Royal Hospital for Sick Children, known by many as Yorkhill, has been providing specialist healthcare for children since 1914. At the time, a public appeal which raised almost £140,000 allowed the Yorkhill site to open. Now with 266 inpatient beds, over 7000 day cases and 35,000 accident and emergency attendances every year, the hospital provides specialist care for newborn babies to children up to the age of around 13. 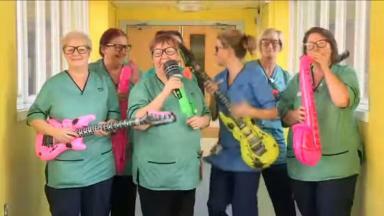 Staff and patients have recorded a version of the Proclaimers Im On My Way to celebrate 100 years at Yorkhill, and the video has had 23,000 hits online. And they will create a special time capsule which will be buried at the hospital's new site when it moves to the Southern General in 2015.